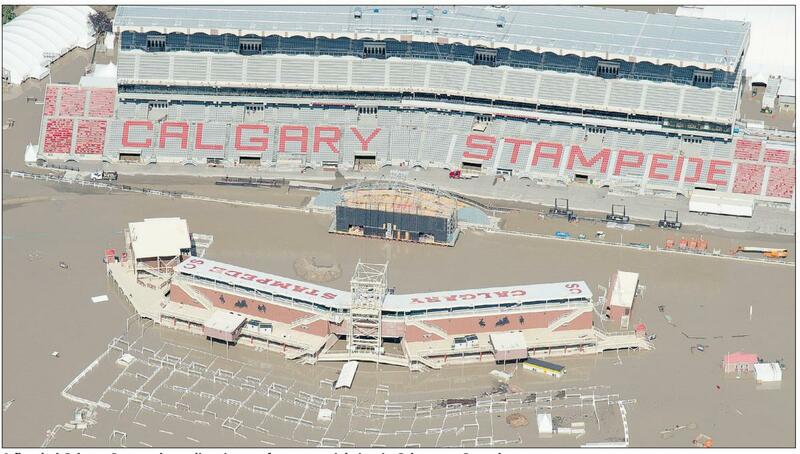 “Come Hell or High Water” has become the unofficial theme of the 101st Calgary Stampede. 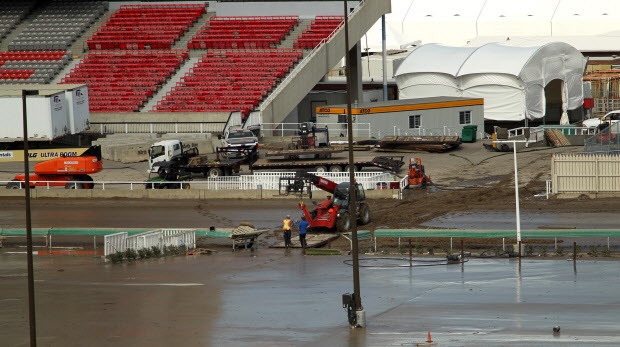 With grit and determination, the clean up has begun at the Saddledome, and down at Stampede Park after the worst flood on record swamped the Cowtown just days ago. The Greatest Outdoor Show on Earth is scheduled to go as planned. ‘It may look a little different’ Mayor Nenshi has said but he, like many of us, are ready to shout out “Yahoo!” in a few weeks. My guess is that it will live up to its name as being the “Greatest” show we’ve seen yet in Calgary. Images from the flood still fill me with a sense of surrealistic astonishment. The sun is shining and temperatures are rising this week; if it were not for the pictures that show the reality of the situation, you would think all was normal. Schools continue to be closed in Calgary and throughout Southern Alberta in many towns affected by flooding which prompted officials to cancel Provincial Exams and give the option to exempt the Grade Twelve students from their Diploma exams this week. For many, including my daughter, this was a great relief. Clean up has begun and slowly but surely people are returning to their homes. For some, they have no home to return to, for others the clean up will be massive. Flood insurance in Alberta, unfortunately, is non-existent for overland flooding. No one has even ventured a guess as to the cost of this disaster but as Mayor Nenshi has also said when asked to put a number to the damage and subsequent clean up – it will be “a lot”. The news reports are now focusing on the clean up and rebuilding and restoring our province to its former glory. The oil patch in the downtown core may have been shut down for a couple of days, but knowing the oil men in the city, my husband included, it will be business as usual sooner than later. Will Calgary be the same? I hope so but also hope not. Crisis brings communities together and I pray that although it might be business as usual in a few days, I hope community good will prevail over profit. I hope generosity will win out over capital gain. I look forward to hearing more stories of Albertans who have come alongside one another during this crisis. For those of us who love the Lord, let our motivation be guided by our love for Him and may we share that love not only at this time but everyday as we help our neighbours weather this storm. This entry was posted in Canadiana, Family Life, Proverbs 16:9 - Journey Thoughts and tagged Alberta, Calgary Stampede, clean up, flood, Mayor Nenshi, Saddledome. Bookmark the permalink. Thanks for the update – praying.